On March 15th, 2018, Food and Drug Administration (FDA) Commissioner Scott Gottlieb announced an ANPRM aimed at reducing nicotine in cigarettes to non-addictive levels. FDA-funded research published in the New England Journal of Medicine shows that this type of nicotine reduction could result 5 million more adults quitting within a year of implementation, and by 2100, could result in 33 fewer people becoming smokers, a drop in the smoking rate to as low as 1.4%, and could prevent 8 million tobacco-related deaths.See more here. However, advocacy groups like ACSCAN are also calling for a maximum nicotine level for all combustible products, not just for cigarettes. See the ANPRM summary and submit comments here. On March 20th, the agency issued an ANPRM on the regulation of flavors in tobacco products. They are “calling upon all stakeholders to share data, research and information that can inform our process for examining the role that flavors – including menthol – play in initiation, use and cessation of tobacco products.” See the ANPRM summary and submit comments here. This is not the first time that the FDA has called for recommendations on menthol. 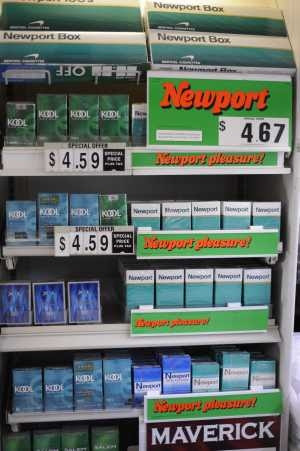 As part of the 2009 Family Smoking Prevention and Tobacco Control Act, the FDA created Center for Tobacco Products and the Tobacco Products Scientific Advisory Committee (TPSAC), and assigned TPSAC to make a recommendation to the FDA regarding menthol based upon scientific research and evidence. In 2011, TPSAC issued a report that concluded that removing menthol tobacco products from the market would be beneficial to public health, and in 2013, the FDA confirmed menthol tobacco’s negative health effects and asked for public comment on their preliminary findings. Learn more here. Learn more about menthol and flavored tobacco products in our evidence summaries. Learn more about the FDA Tobacco Control Act and point-of-sale policies here. Read a statement from the Campaign for Tobacco Free Kids on the possibility of changing how premium cigars are regulated here and considerations from the Public Health Law Center on the topic as part of the FDA’s overall regulatory plan here. See the ANPRM summary and submit comments here.